Ms. Gbadegesin is the Head of Heavy Industries and Telecommunications at the Africa Finance Corporation, an investment grade development finance institution for Africa. She is an investment and management professional with over 15 years of experience in the financial services sector, both internationally and in Nigeria. Tariye was on the founding team to establish the Africa Finance Corporation and has over the years led and managed investments in the sectors of power, infrastructure, industrials as well as media & telecommunications. Tariye has worked at the International Monetary Fund, PricewaterhouseCoopers and Chase Manhattan Bank. She is a non-executive Director on the Board of Cabeolica S.A, a wind power company in Cape Verde, an IFC ranked top 10 IPPs in Sub Saharan Africa. 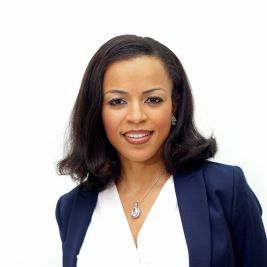 She is also a non-executive Director on the Board of the MainOne Cable Company, a telecoms and data services company serving West Africa. Tariye has a bachelor’s degree in Economics from Amherst College, and an MBA from the Harvard Business School.